I start my new job this week and so I hope you indulge me one last post about a family day out. Soon I fear the mundane routines of life will absorb my mind but as Autumn closes in, I always feel more crafty and anticipate more makes to share. Back to the title of this post though. 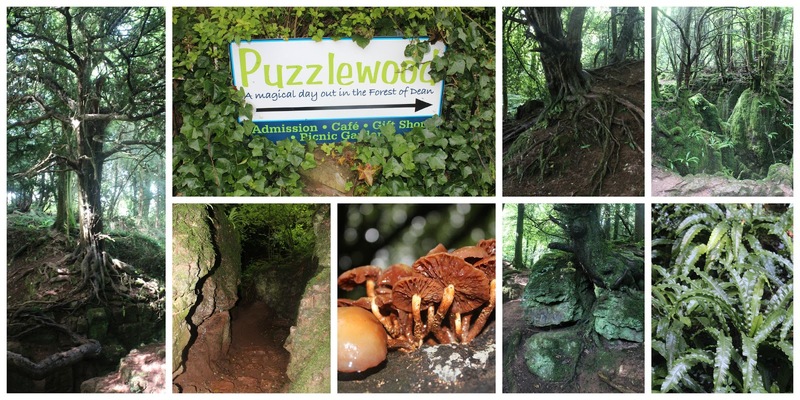 My husband works at different venues and was asked to visit Puzzlewood in the Forest of Dean. It is about an hour and 15 minutes away for us so reasonable with a 2, 4 and 6 year old but not something we would do every week, despite wanting to. 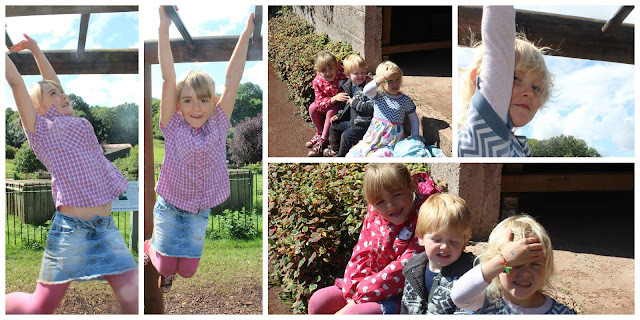 It really was a fabulous day out which was cheap and varied. We arrived at 10 and left at 5 and the kids didn't complain of being bored once. "Puzzlewood is a unique and enchanting place, located in the beautiful and historic Forest of Dean. Explore a mile of meandering pathways, with its fantastic tree and rock formations, through this 14 acre ancient woodland. It has an atmosphere quite unlike any other wood you have visited. 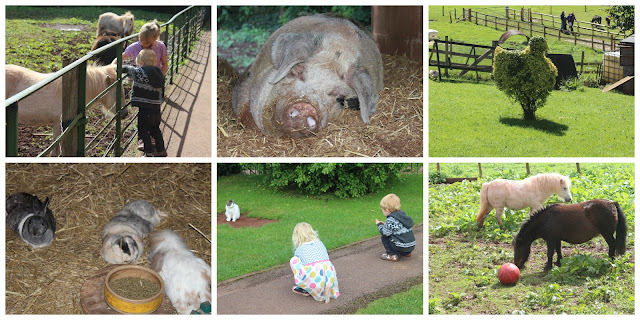 As well as the woods we have lots of animals, a willow maze, indoor mazes and a toddler racing track, an outdoor playground, plenty of picnic benches, a cafe and gift shop." The woods are beautiful and I can see why they've been used as the set for Atlantis, Merlin and Dr Who. 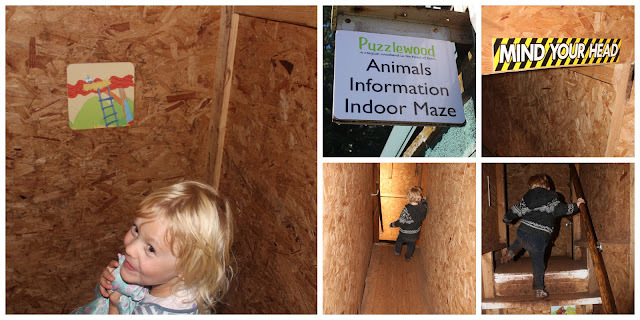 Puzzlewood gets its name from hosting some great mazes which really kept all of the children well occupied. There were lots of animals there and a funny pony who liked to play football! When the sun was shining, they played in the park area which was mostly natural play materials with a beautiful backdrop of meadow and paddock. 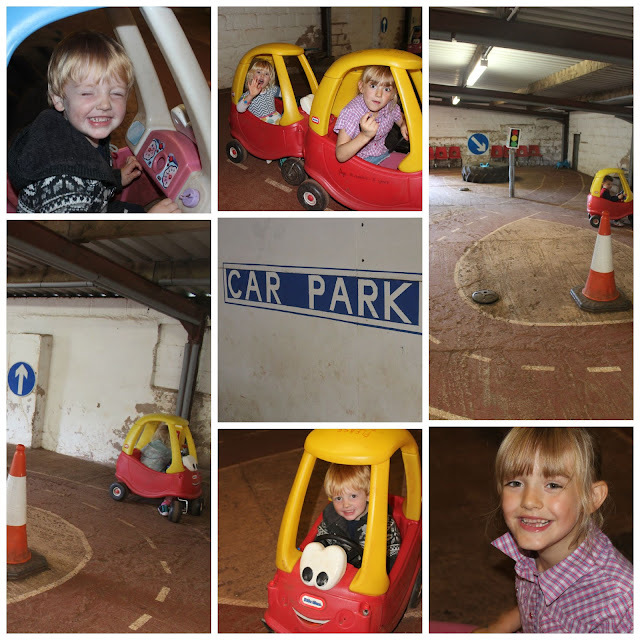 There was this car track which the children came back to throughout the day which was supposed to be for those under 5 but it was a quiet day so Fiona joined in on the fun. 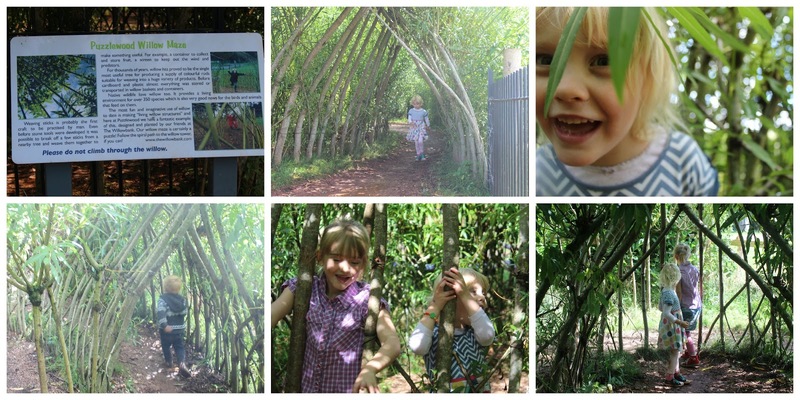 I really recommend Hazelwood and am pleased we got to visit when we did. I'd like to visit in the autumn when the trees are more muted but for now I'll have these lush memories of tall moss covered trees with full, dense canopies of deep green leaves filtering the sunlight onto my little family beneath.